5.5″ Rubberwood castanet in unique triangle shape. Also with smooth easy grip handle. 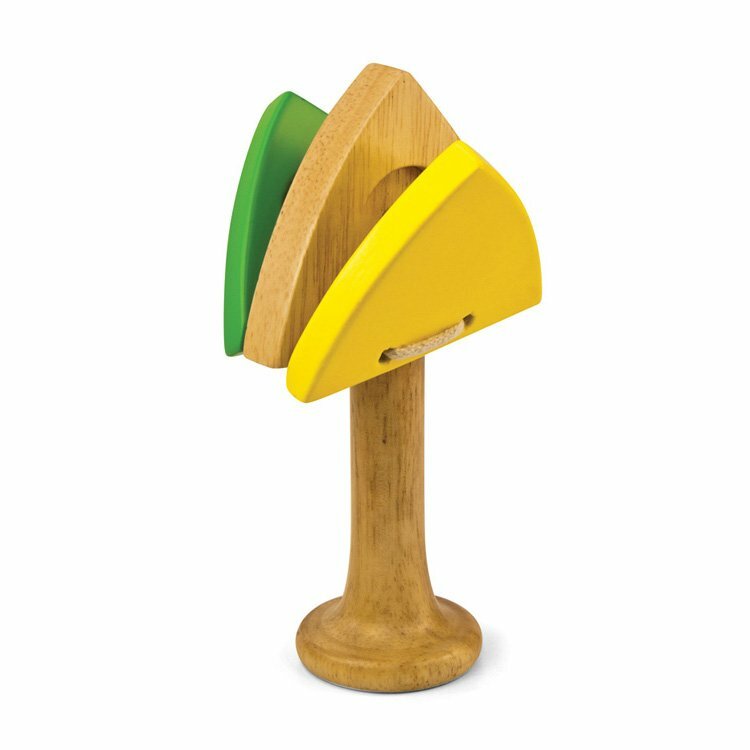 Provides clapper castanet sound and develops fine motor skills. All wood construction made from environmentally friendly Rubberwood with a non-toxic clear coat finish and water based VOC free paint.